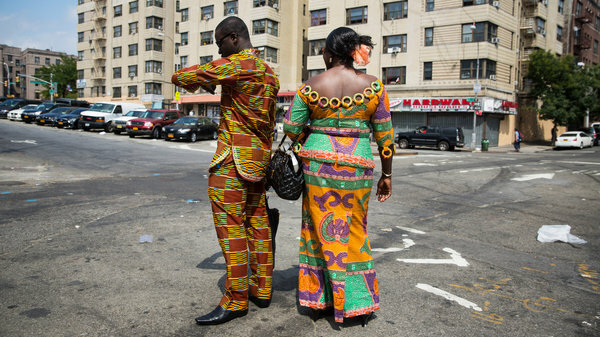 In Concourse Village in the Bronx, Sylvester Donkor, left, and Ataa Serwaa, immigrants from Ghana, waiting for a cab to church. this is a great piece. Diaspora is such a complicated thing. Africans and African Americans must stand together in solidarity because the struggle is synonymous, nothing is exclusive. 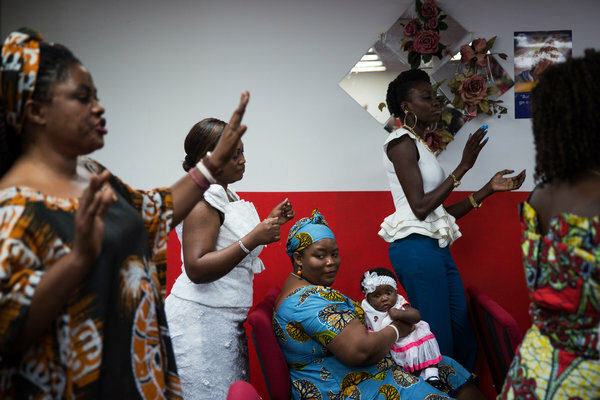 Globally we find that Africans in their respective countries face similar levels of poverty, health concerns, and lack of industry or job opportunities (based on their country’s GDP) as many others with melanated skin. Is this by design? I believe that once we begin to sponsor and support all our black brothers and sisters, then we’ll see our economic prosperity and social order begin to improve. Group dynamics is imperative. We see it from other cultures – Jews in Israel stand in solidarity with Jews in Poland and Jews in America, regardless of nationality. So why then do native Africans and African Americans (and all others in the diaspora) see a difference between themselves? Dr. Umar Johnson has a special approach to the issue that I think is worth reviewing for anyone interested. great website though – wonderful platform.